What do you think is necessary to enhance the strength of an organization? For me, it is no other than overcoming obstacles together to create a work environment where everyone feels at ease. A strong organization is one that has members who understand and respect each other and are able to help anyone who is struggling in order to overcome obstacles as one. I believe that it is the ideal organizational structure, and it is my job to lead as an example. Our number one course of action in "Euglism" is to raise diversity and to develop a climate that accepts diverse values. The dynamization of diversity from people from different backgrounds including gender, entry date, type of employment, hometown, and many other factors can create new ideas in the world and bring innovation.These values are taught by the microalgae that were working with, the euglena. As a result of our various research and implementation of the world's first outdoor mass cultivation of this algae, we have come to realize the wonder of its diversity day after day. Let me give you an example. Hybrid cars, the most popular type of automobile in Japan, was just an imagination back then. However, it has come into existence by combining the advantages of both gasoline and electricity. Even in the natural world, hybrids have the strength to survive in various environments. In other words, a Euglena is a hybrid creature and is a living example of a hybrid. It can photosynthesize like plants and move like an animal. 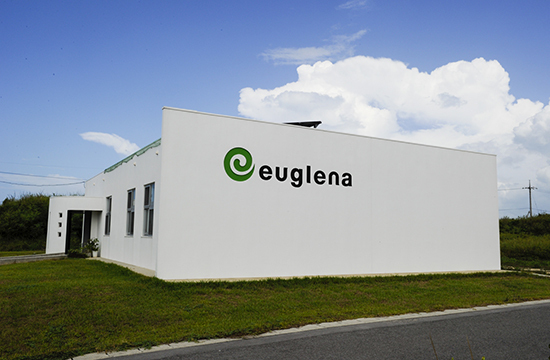 Packed with 59 kinds of nutrients, euglena can be a good source of food and also a potential ingredient to produce fuel. We can even make something out of inedible euglena, like turning it into fuel. It is just surprising to see that it can have a lot of potential uses.Just like its diversity, our company understands the diversity of each of our people, as well as the importance of teamship. The inculcation of this awareness is the driving force for our company's growth. In 2017, the ratio of men and women became 1:1 for the first time. In the beginning, it was more likely for men to venture in this industry than women; however, as we promote the success of our women, more and more of them began drawing media attention.Headlines of various newspapers and magazines were saying that there are a lot of women who are enjoying their science careers.Of course, I have introduced my research process and back stories in media because I was looking for people who might be interested in pursuing a career that has something to do with euglena. By doing these activities step-by-step, I am now aware that the number of women choosing this career path has increased, further strengthening the diversity of our company. For startup ventures like us, innovation is very essential. The world will not seek after us unless we keep creating new ideas and keep challenging ourselves. And since innovation is created only when several people with different backgrounds and interest understand and boost each other's enthusiasm, I would like us to continue evolving as a company where diversity is very much alive, with no biases in gender, age, and other factors. And I am aiming to save this world using the wonders of euglena. I was not originally the type that stands out within the organization, and I thought to myself that I am not fit to become a leader. I felt a sense of inferiority in myself as I looked at my colleagues with strong leadership skills. However, the head of the organization does not necessarily require leadership. I am saying this because strengthening the company will not be made possible through the leadership of a single person, but by teamship, where everyone is involved in making the organization prosper. As the leader of this organization, there is one thing that I have been keeping for a long time. It is not using the word “employee” when communicating with people in the company. We have never used that word in our company; instead, we call each other "colleagues". We believe that vertical relationships, including president-and-employee relationships, is already an outdated concept. 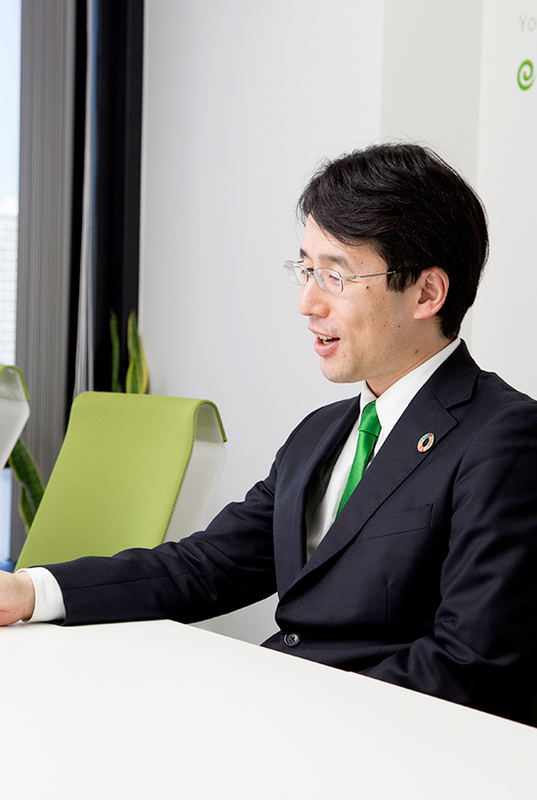 Hence, we would like to see ourselves as a group of people who have gathered with the same goal of saving the world and to keep it and its people healthy through euglena.Also, that kind of relationship will cause the ones below the hierarchy to lose momentum and may cause them to lose their appeal.